Company Profile - KBH Partners Pty. Ltd.
KBH Partners is a firm of professional business advisers dedicated to serving the needs of individuals and businesses ranging from small family businesses to large private and international corporations operating in Australia. 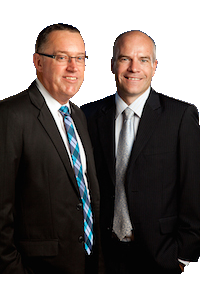 The firm commenced practice in Mount Waverley in the early 1980’s and now comprises 2 partners and 12 staff. KBH Partners is committed to providing personal services to our clients with our partners and senior staff building strong ongoing relationships with them to fulfill their business and individual accounting needs. We offer a complete range of accounting, taxation, business advisory, corporate and financial management, payroll and financial planning services. KBH Financial Planning commenced in 1998 and has 2 Certified Financial Planners providing an extensive range of financial planning services. “KBH Partners Pty Ltd are your “Professional Business Advisors”. We tailor our advice and provide assistance to suit your individual needs. We work with our clients, not simply for them”.